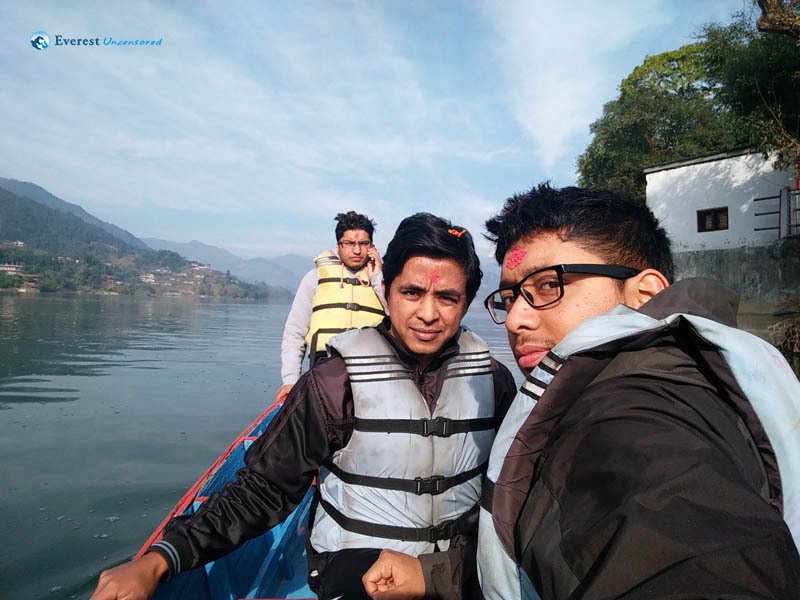 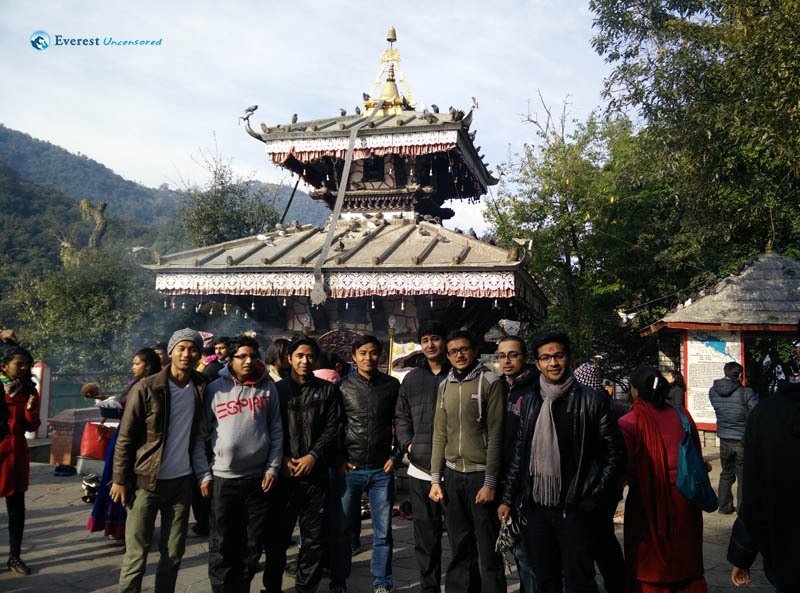 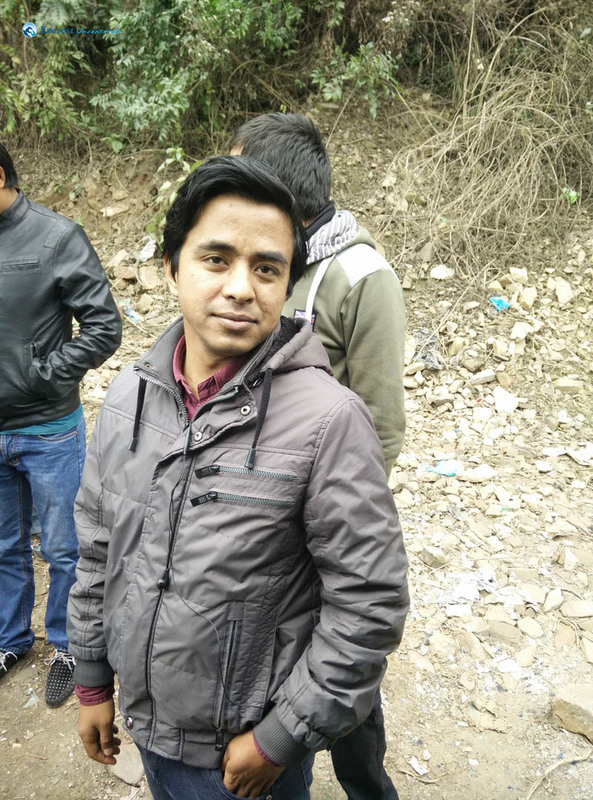 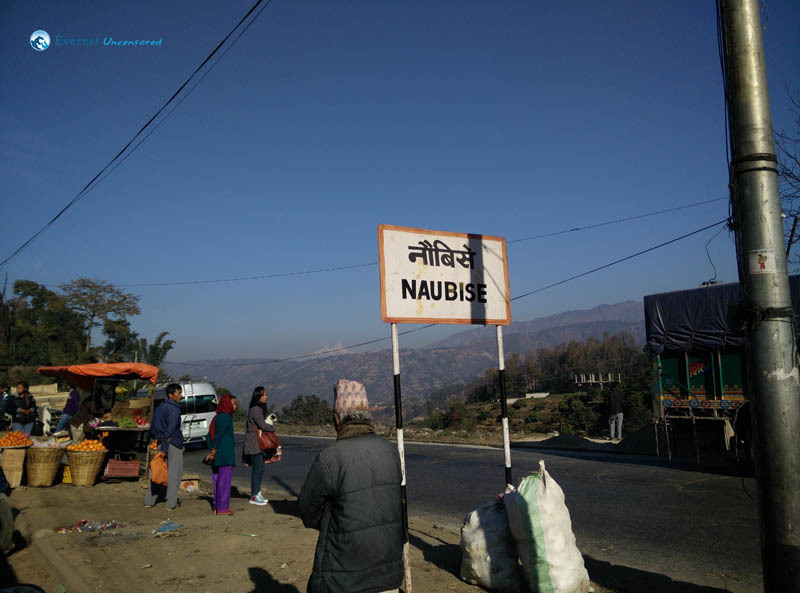 On a cold saturday morning of 24th Jan 2015, around 7:30 am we were all inside the office vehicle and heading away from Kathmandu to Pokhara. We made a small stop to shop for the essentials at Kalanki and started our journey. 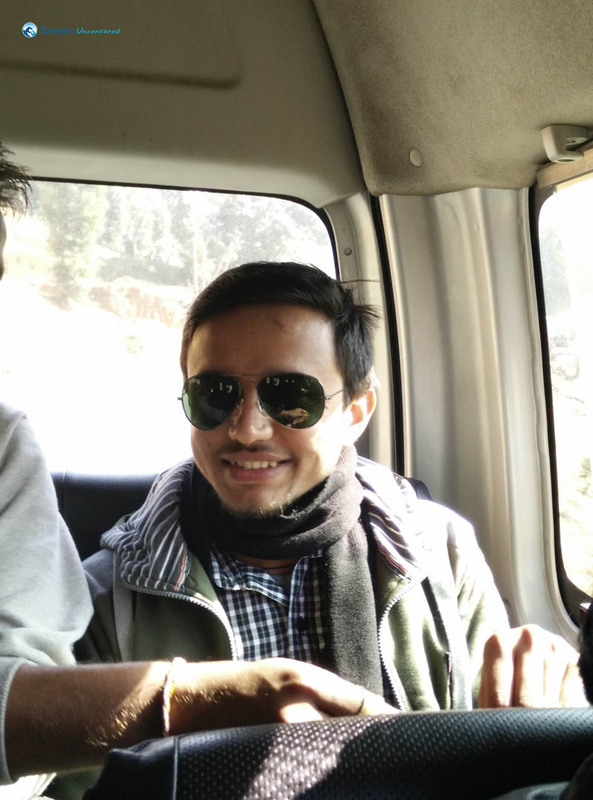 As I remember the ride was a great concoction of humming along with Bhes dai’s ever-changing music, bursts of laughter at censored sarcasms and gleeful talks with friends. 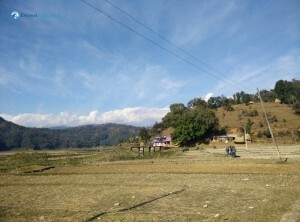 In a nutshell, this small ride made us more open for the upcoming adventures. After a hour or two of ride we had a small breakfast at Naubise. 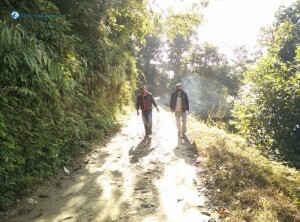 Thereafter we continued our journey in the same joyful manner, sometimes stopping along the way to take in the beautiful scenery of the Himalayas and the fresh air that came with it. 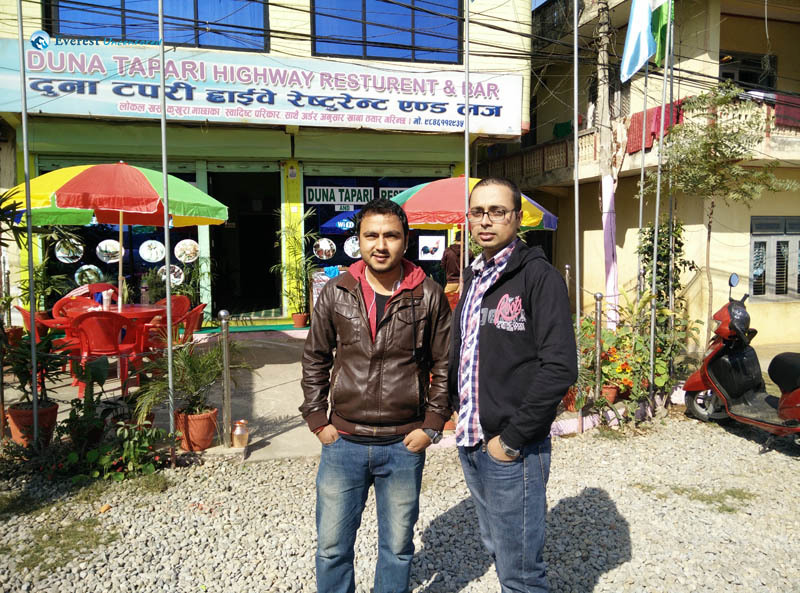 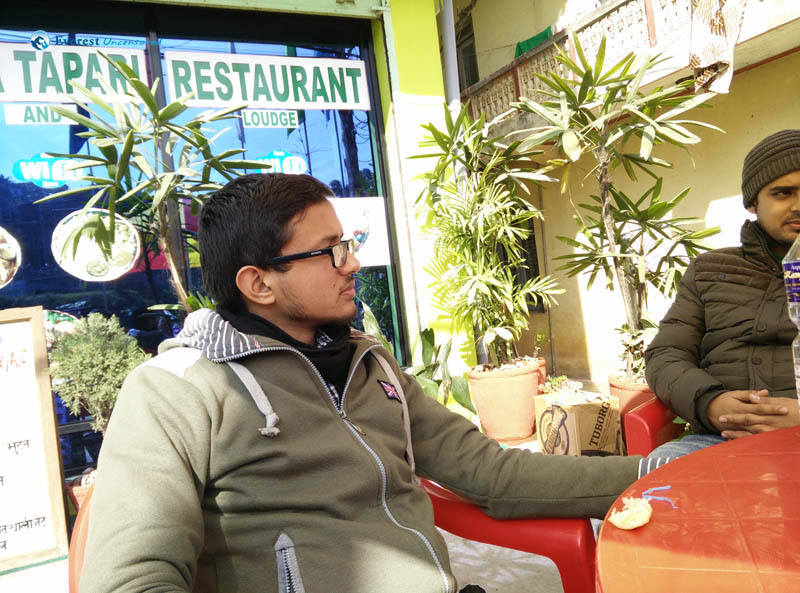 Then at around 12:30 pm we reached Duna Tapari restaurant, Damauli where we had our lunch. 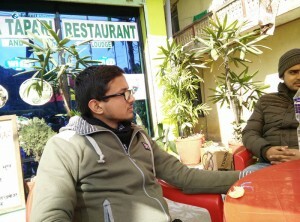 The food was appetizing and we all stuffed in as much as we could and soaked in the sun hereafter. 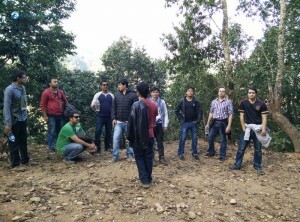 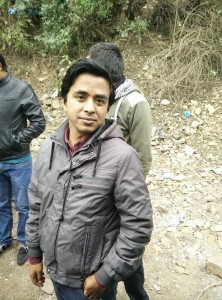 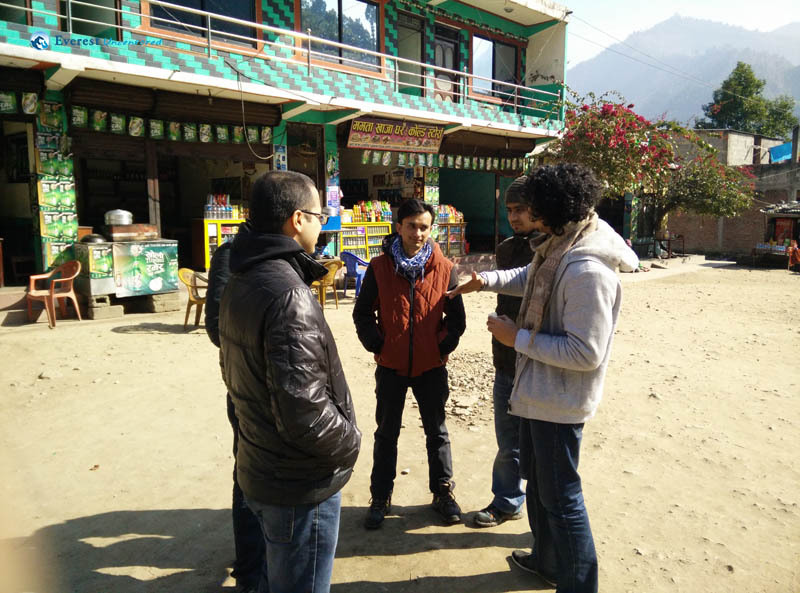 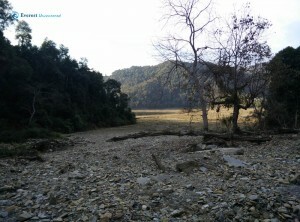 At around 1:30 pm, we reached our trekking destination which was a place called KholaCheu. We started to walk swiftly from the fields towards the Rupa lake, making all kinds of jokes why possibly the lake could have been named so. 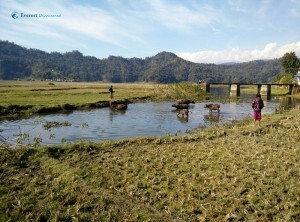 Slow paced we walked through the wet marsh lands at the lake’s bank, observing the beauty of the lake and the varying landscapes along the way. 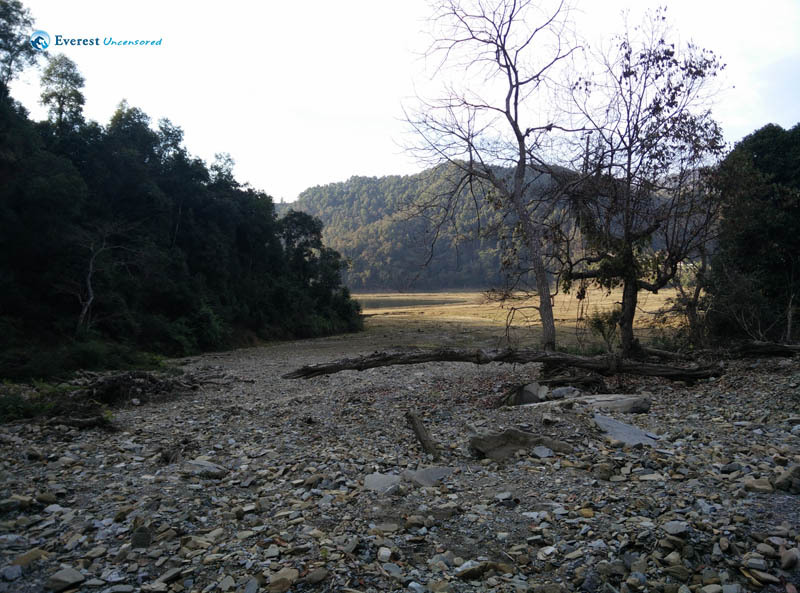 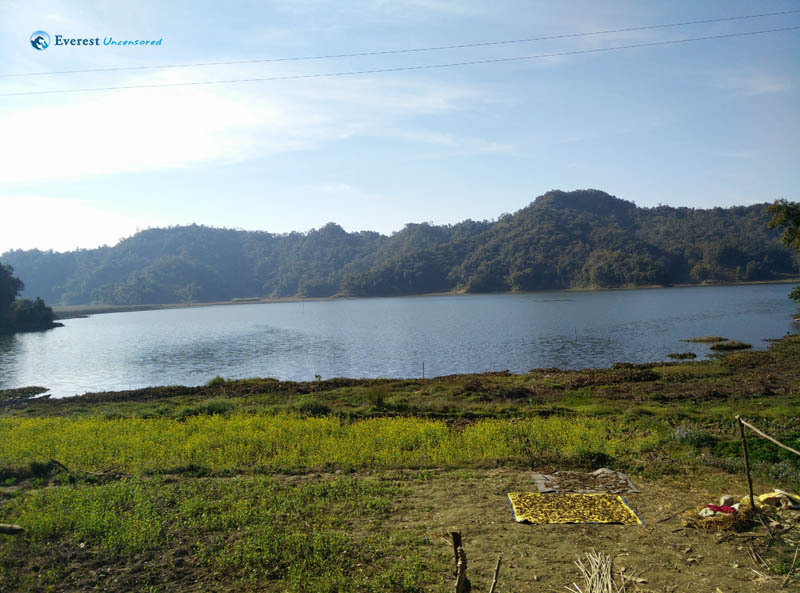 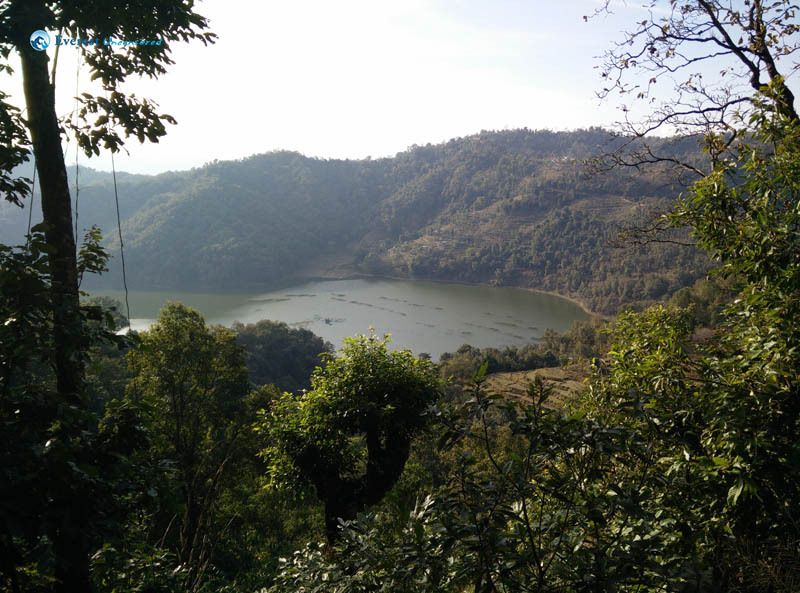 After a 2 hour walk we came at the edge of the Rupa lake and had two paths ahead to reach the Begnas Lake.As per the suggestions from the locals we decided to take their suggested path to Begnas Lake. 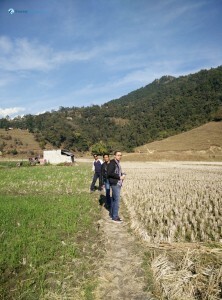 They suggested the path only took 2 hours but soon we came to the grim realization that the path ahead would take more than 3 hours for us to complete. The first part was possibly the most difficult one as it required more than 1 hour of straight uphill climb, but it did come with it’s perks as we got to see some beautiful birds along the way and the scenery from the top of the hill was great as we could see the whole enormous Rupa lake. 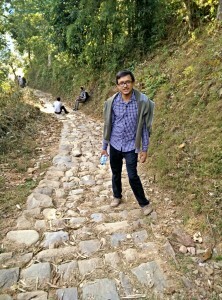 Then for the second part we descended down for another 1 hour to finally reach TaalBesi. 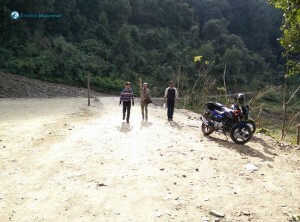 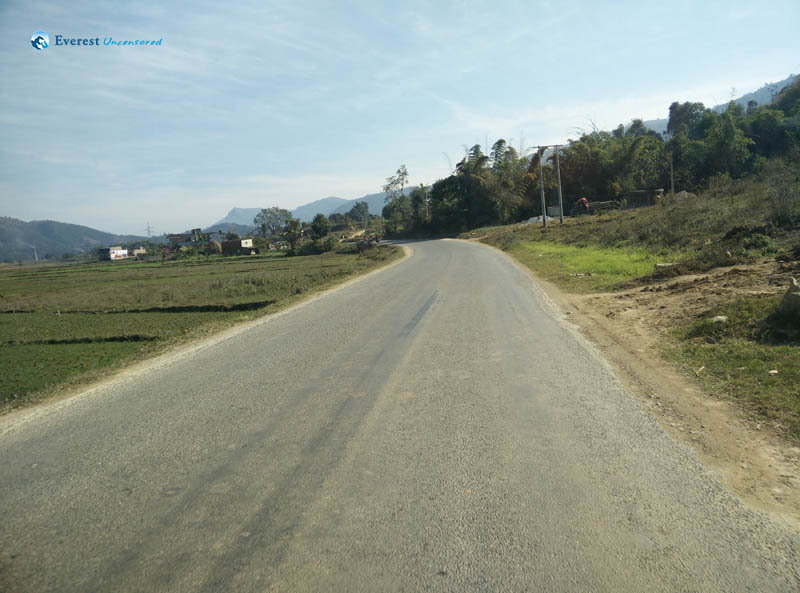 Then from TaalBesi we had to walk along a graveled road which had it’s frequent vehicle visitors which left us dust coated. Then after an hour or more, we finally reached our destination where we could see both the Rupa and Begnas Lakes simultaneously with Annapurna, Machhapuchhre and Dhaulagiri, all at the backdrop and the colors of the dying sun. 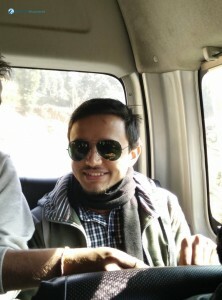 So by the time we ended our journey, it was almost 7:00 and by that time we checked in to the hotel it was almost 7:30. 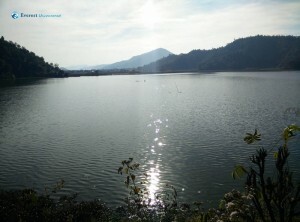 After a quick freshing up we all gathered around 8:00 and had a walk along the Phewa lake. 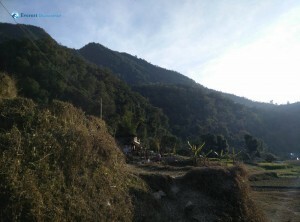 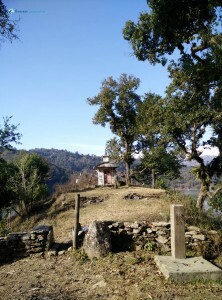 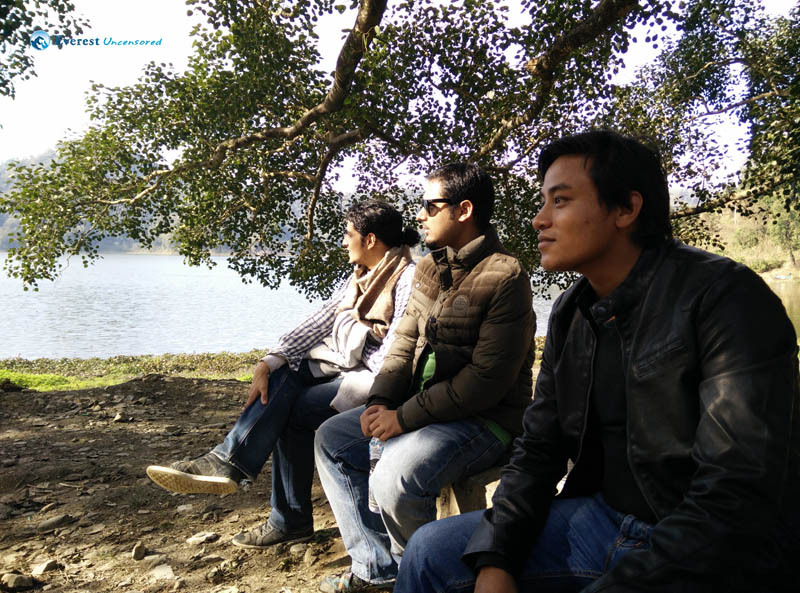 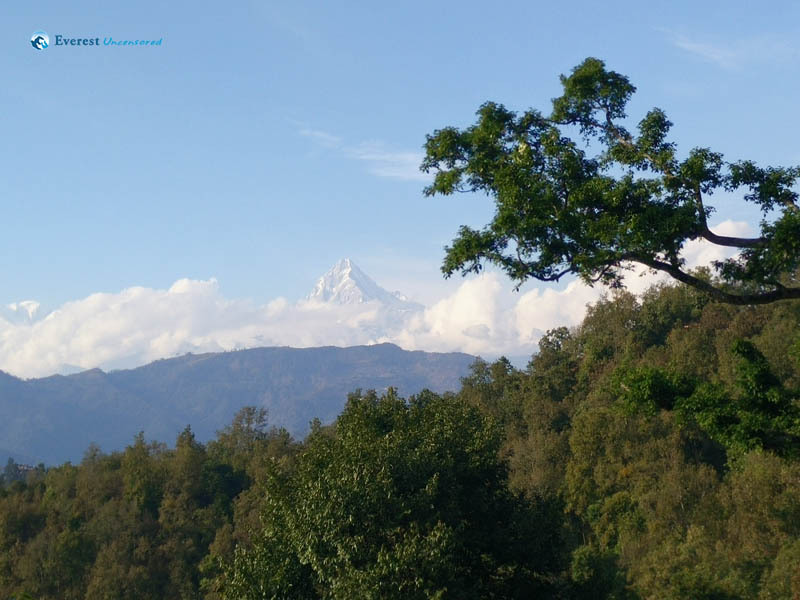 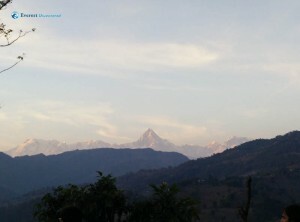 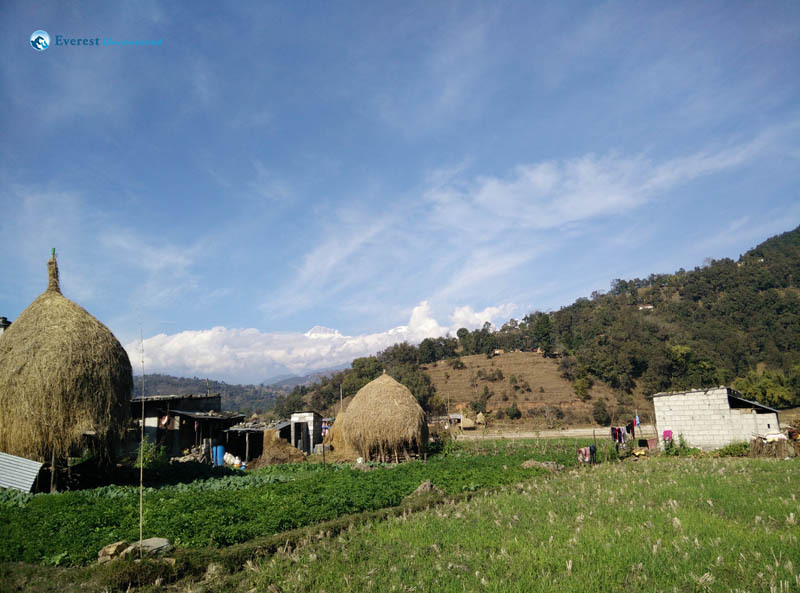 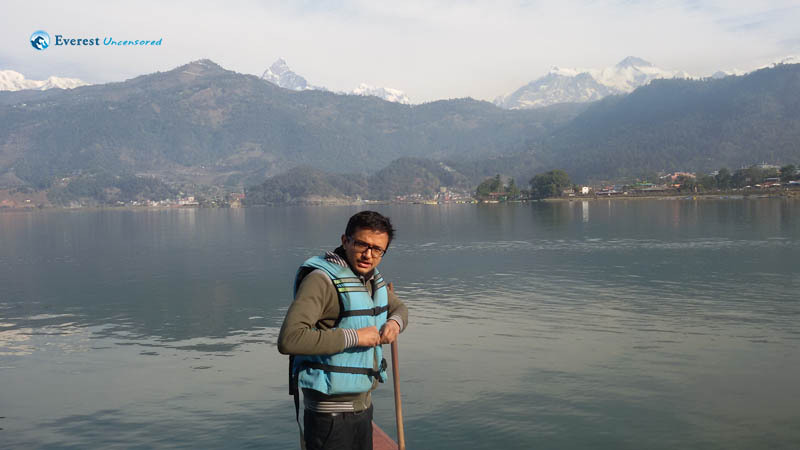 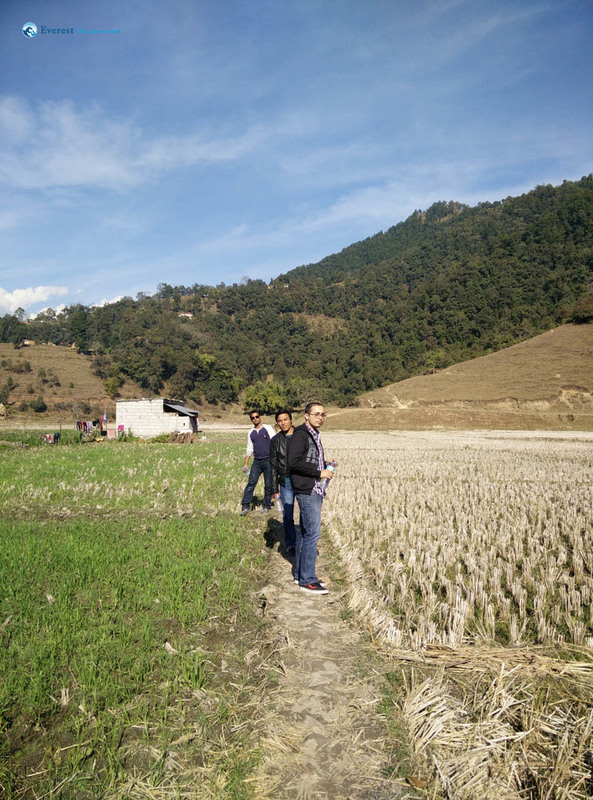 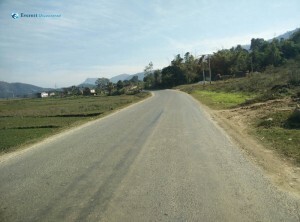 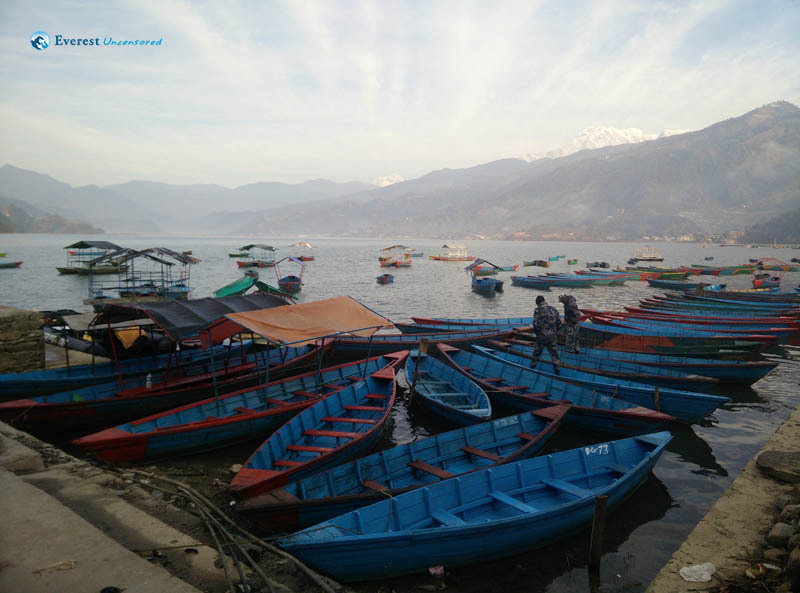 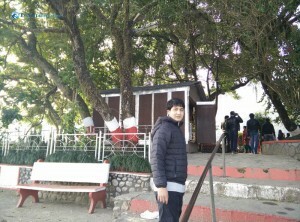 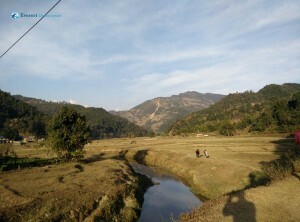 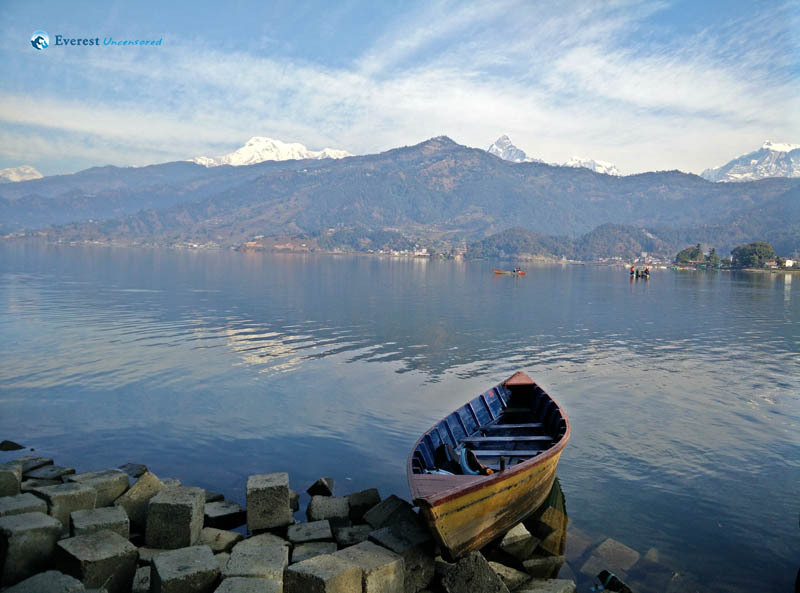 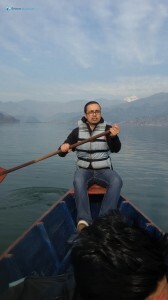 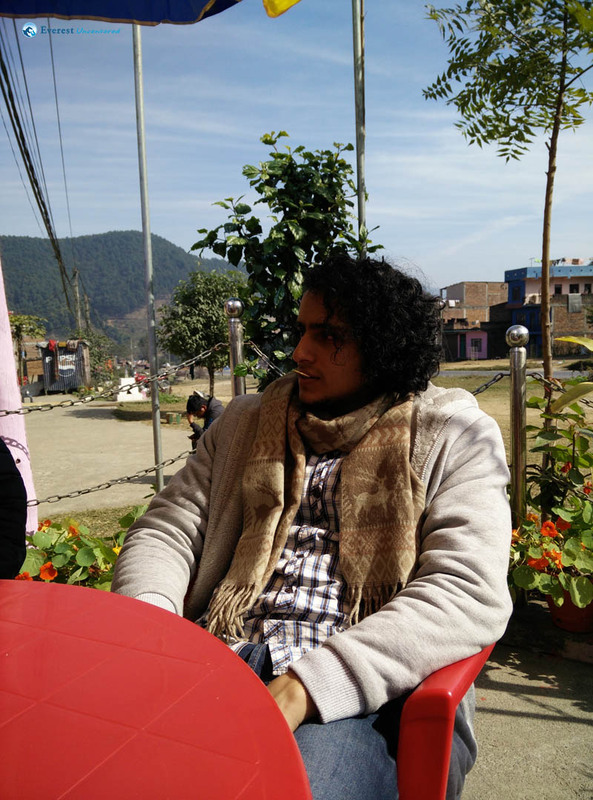 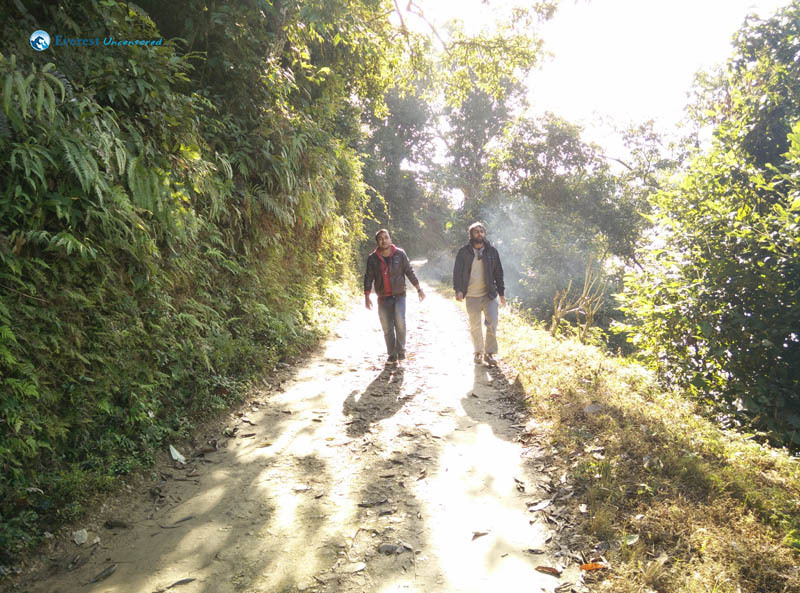 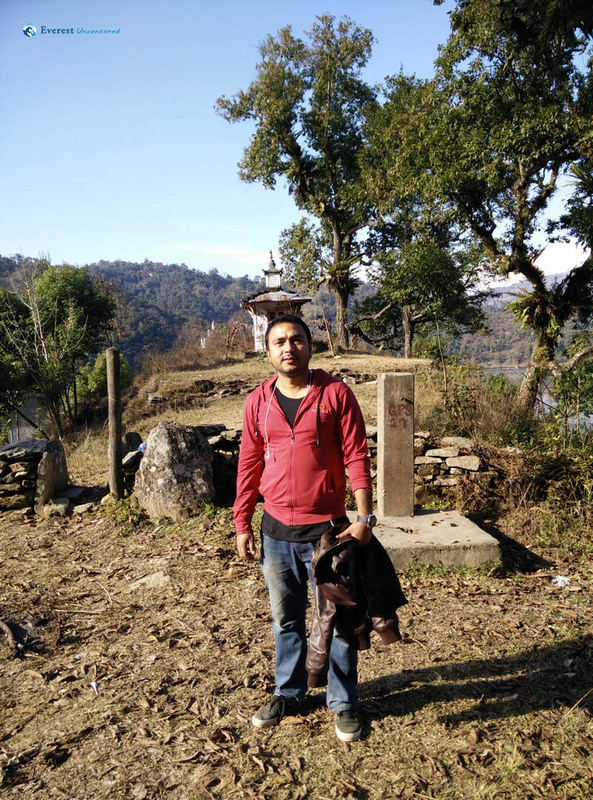 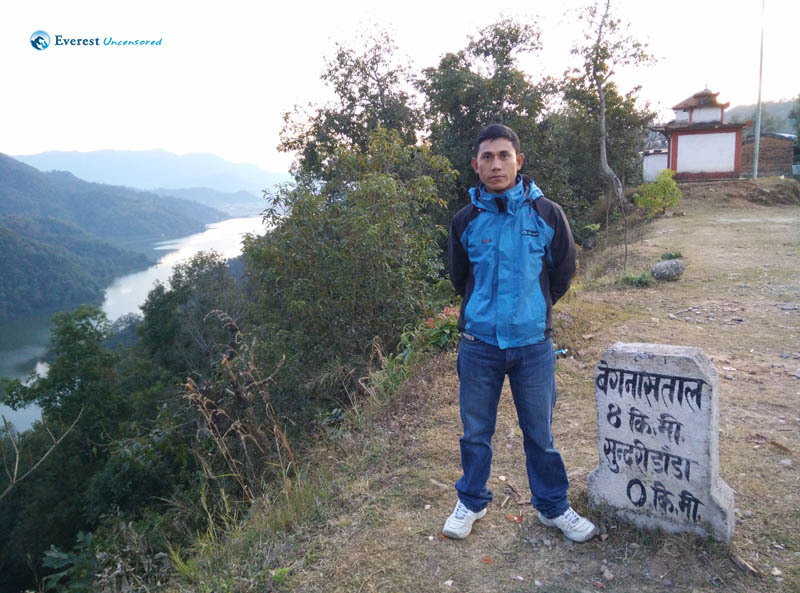 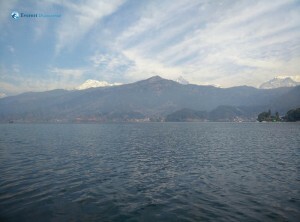 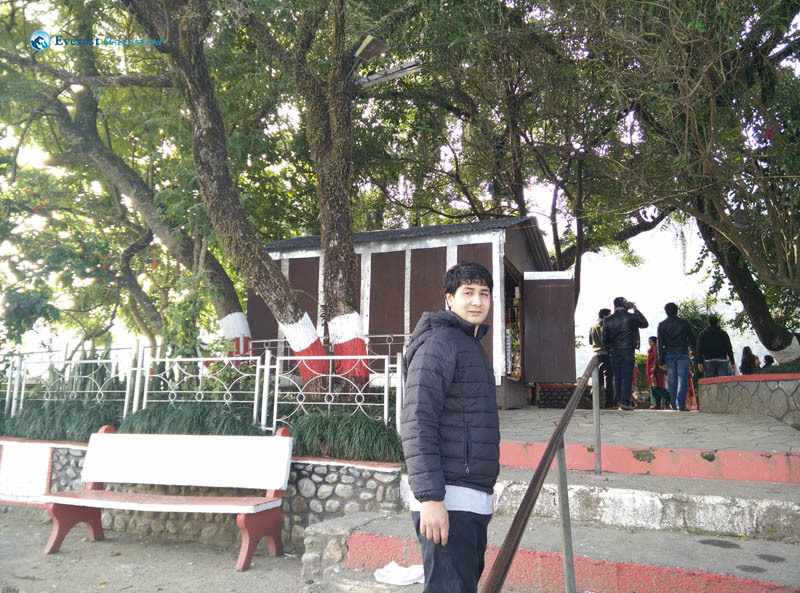 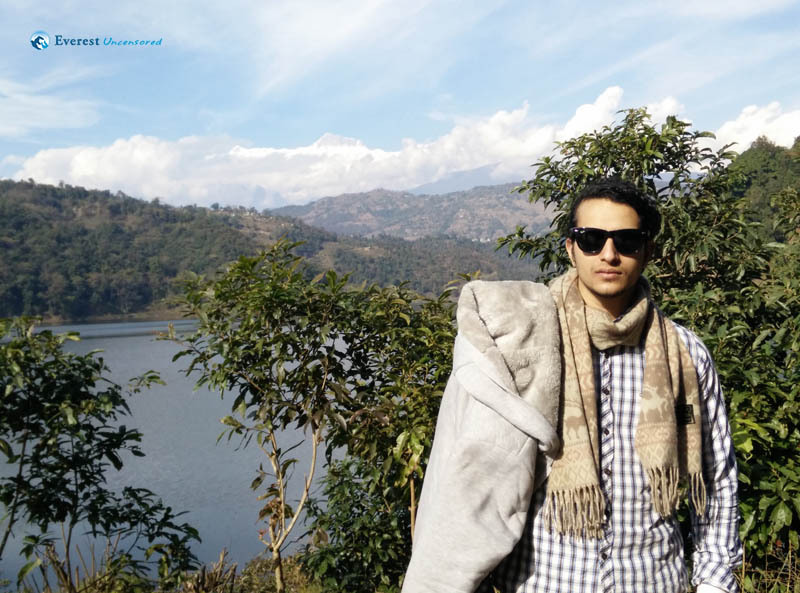 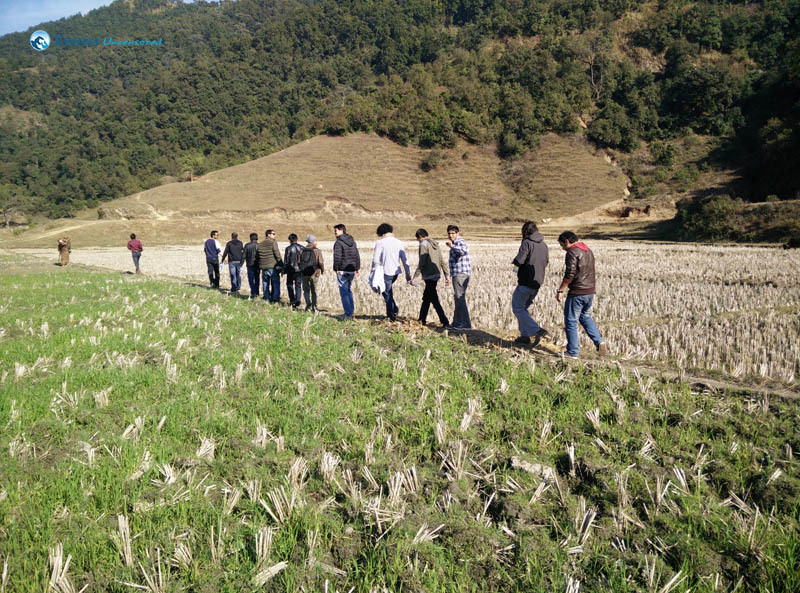 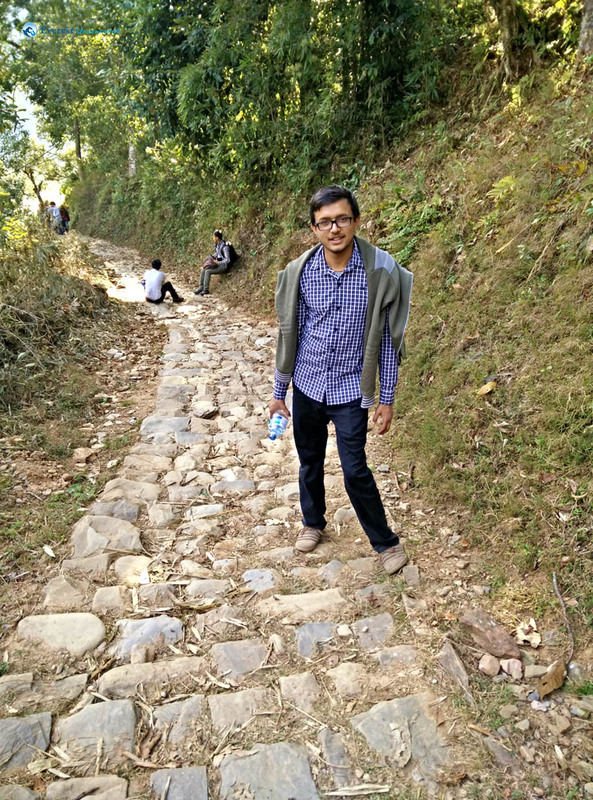 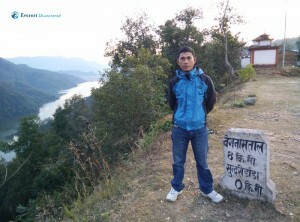 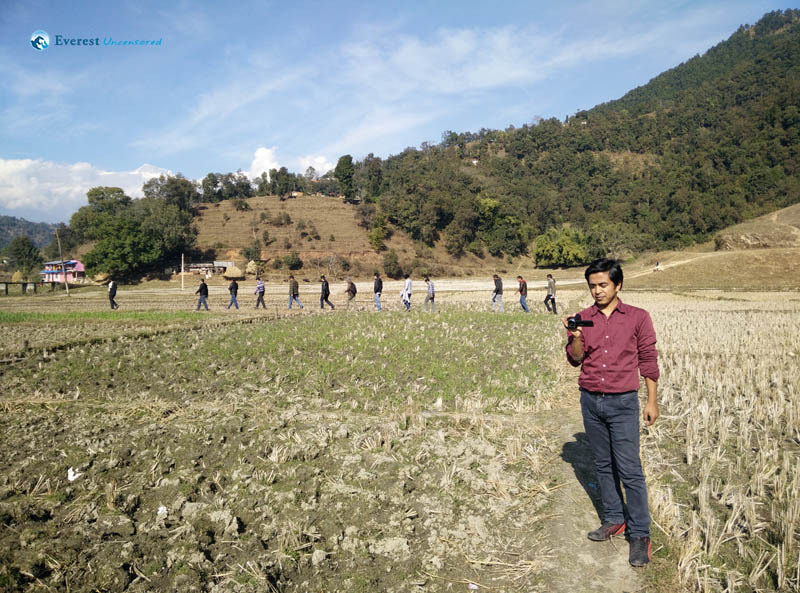 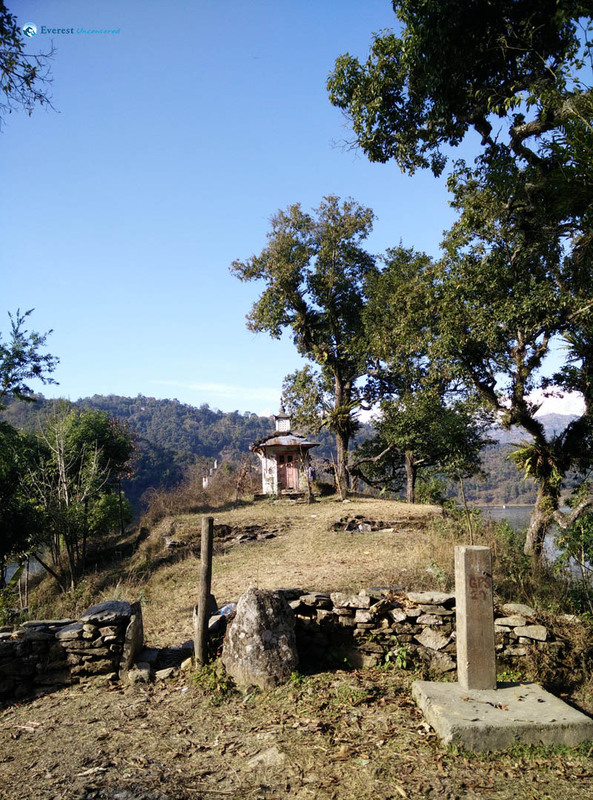 The weather in Pokhara at the time was crisp enough that you enjoy a good walk under the clear sky. 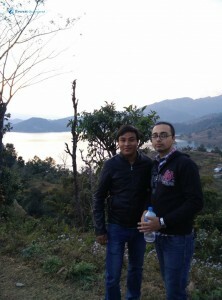 We had our Thakali meal at around 9:00 pm and again rested at the shores of Phewa. 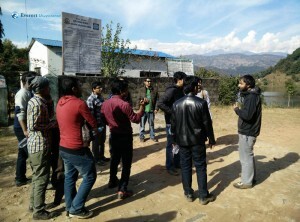 Then back at the hotel we all gathered and enjoyed the group chat with each other.Exhausted from our exploits the other day, we slept around 12:00 late night. 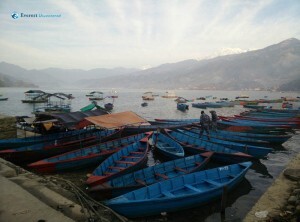 The other morning on Sunday we woke quite early.Enjoyed some tea at the banks of Lake, then after a swift walk around the Lakeside area we decided to boat in the Phewa Lake. 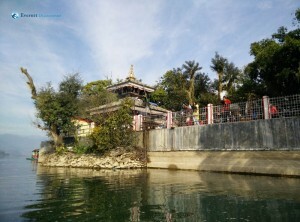 There we rowed for about an hour, visited the Taal Barahi Temple. 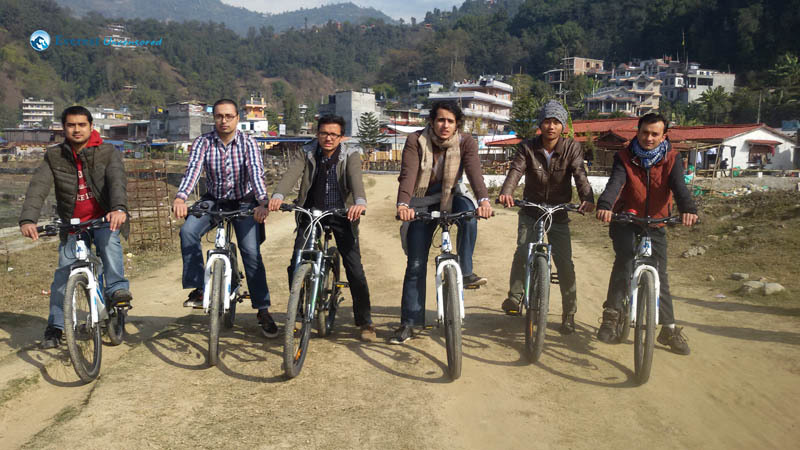 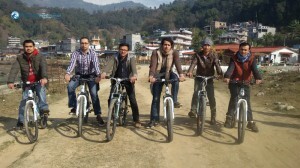 Some of us also took bicycle ride around the town and enjoyed the morning sun. Around at 10:00 we checked out of our hotel, had a light breakfast and by 11:30 am we were ready to leave Pokhara. 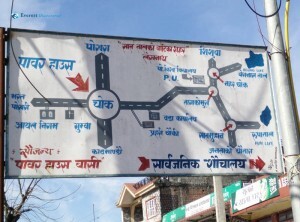 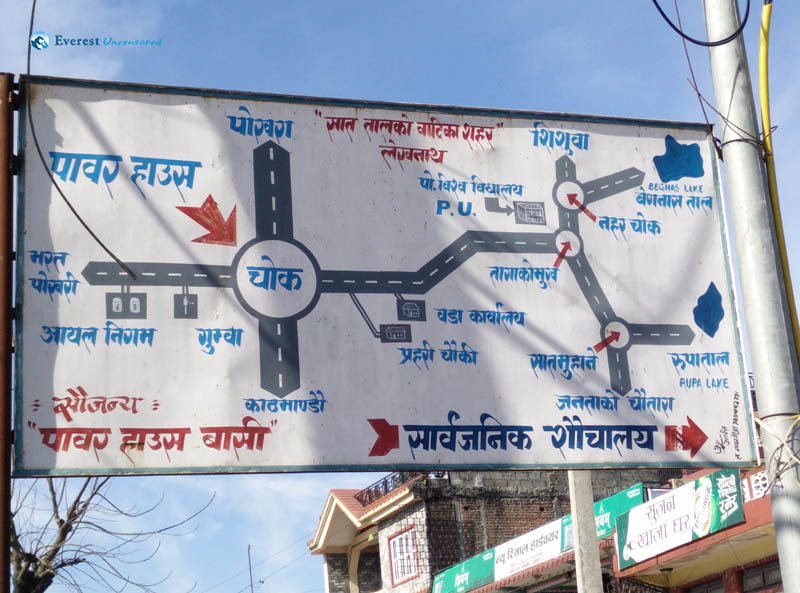 In the similar pattern we had our lunch at Duna Tapari restaurant at around 2:00 pm and made our way to Kathmandu enjoying the ride back home. 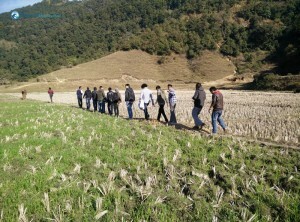 This 2-day hike was a wonderful opportunity to know many new faces, make new friends and a escape from the daily routine of work.